On Feb. 13 Dr. Jill Stein from the Green Party joined America’s Work Force to discuss rank choice voting and why she believes that it should be considered to use for future elections. Rank choice voting is when the voter will rank as many of the candidates as they would like by order of their own preference. 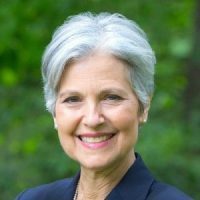 Stein said that with rank choice voting, the voter will not feel like their vote is thrown away if their candidate loses because their vote will then be reassigned to their second choice of candidates, and so on. Stein claims that this is a way to make voting more fair and functional. She also talks about the Green New Deal and Rep. Alexandria Ocasio-Cortez (D-NY) non-binding resolution that she presented on it. 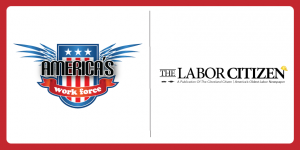 Tom Germuska, Jr., with the Labor Citizen began his Feb. 13 appearance on AWF by talking about the February edition of the Labor Citizen. Germuska covered the Church + State groundbreaking in Cleveland and how there is critical financing of the project coming from the AFL-CIO Housing Investment Trust Fund, union pension funds creating more union construction jobs. There is also a Quicken Loans Arena renovation project that Germuska discussed as well as the Columbus Mayor, Andrew Ginther, running unopposed for his second term. AWF host Ed “Flash” Ferenc discussed the chances going down of the government being shutdown on Feb. 15 due to a “fragile border security compromise” made between President Trump and lawmakers. This entry was posted in Union Radio and tagged America's Work Force Radio, AWF, Dr. Jill Stein, Ed "Flash" Ferenc, Green Party, Rank Choice Voting, The Labor Citizen, Tom Germuska Jr by awfblog. Bookmark the permalink.